I just bought the yearly package and was making a check call which i need to do every hour and upon making the first phone call from my laptop i lost connection with the phone and so i kept trying again and again but with same result every time. Why can't i make a call from laptop without laptop loosing connection with pc ? This is very annoying as this is the main reason i bought this app and now i feel like i wasted my money. My phone is on the other side of the table i am at and to walk around it takes very long time as it a very long table for just to make a quick check call every hour and if i pull it towards me then i still have to make the long walk around the table to place it where it gets 4g connection. Re: Losses connection upon call!!! If your phone is connected to the mobile network, the connection between AirDroid Web and your phone will be disconnected when the phone receives a phone call. When your phone receive a call, the mobile network connection has been interrupted. Ok thats no good for me. I also found that there is a big lag from every time i do something til it happens. I have found a software that works flawlessly which is side sync which does all i need. Since i wont be needing nor using this. Where can i get a re-fund ? Sorry for any inconvenience this may have caused. 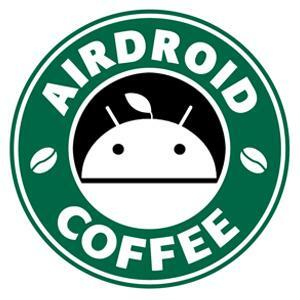 If you need refund, please contact us at pay@airdroid.com. Thanks for the reply. I apparently sent the first mail to the wrong email but have now sent it again to the email stated above. Thanks for the excelent customer service.